I won't buy it, because I happen to be a rational conservative who realizes science knows what it's talking about. Ann's idiotic statements on evolution (or any other science, for that matter) are textbook examples of the failure of our public school system. 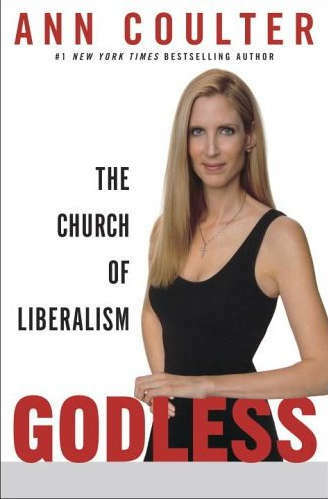 She has some very valid slams of liberalism, but the failure of modern liberalism (read: socialism) is not an endorsement of modern conservatism (read: socialism with some religious bits tacked on). I'd like to see some REAL conservative options in America, not just religious nuts who want a slightly smaller welfare state. I apologize for being rude here since you were willing to have a reasonable discussion about this in the other thread. You're gaining the short-term pleasure of driving me nuts by sacrificing the long-term reward of having me ever think you're a rational individual ever again. My god, I can't believe you get to vote. My liberal friends are already nuts. What do I do now?